Choosing what ERP solution to deploy to your business is a big commitment. As they will be running your key processes and used daily within your business, you need to ensure you’re making the correct choice. With so many different solutions on the market, it’s hard to know which one’s going to suit your business best. 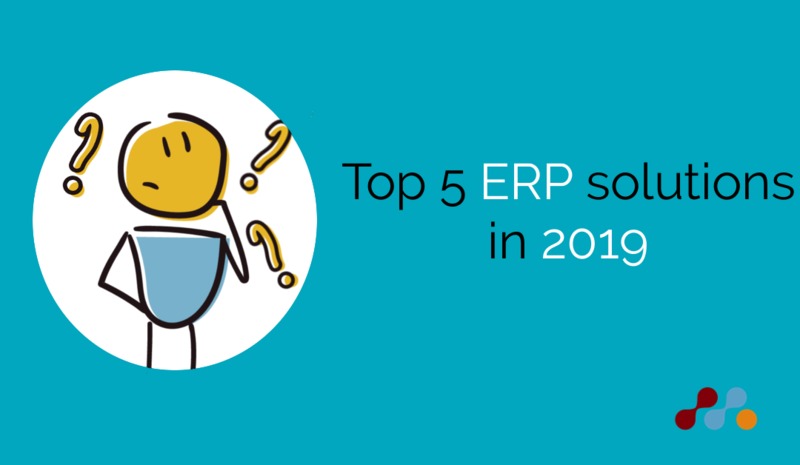 Even as Microsoft Dynamics vendors we understand that it isn’t going to be the right solution for everyone, so with this blog post we aim to give a quick overview of 5 of the top ERP solutions available to help your research in finding the right ERP solution. SAP Business One is an ERP solution aimed for SMEs moving away from entry-level systems. The solution is built on core modules for financials, sales, service, inventory, production and reporting—with additional industry-specific modules available to help fit unique business requirements. You can deploy SAP Business One as a SaaS solution, in the cloud or on-premises; with options to buy licenses both perpetually and on subscription. SAP Business One handles all your key functions from one platform, giving you clear visibility and complete control over your business processes. However, Business One’s functionality is somewhat simpler than other available ERP solutions, meaning it is more suited for those with straight forward business processes. Oracle NetSuite is a scalable, cloud-based ERP solution targeted towards growing medium to large size businesses. The comprehensive solution helps you run your key back-office operations and processes with automation, workflows and reporting to help you work efficiently. NetSuite comprises of seven main modules for financial management & planning, order management, production management, supply chain management, warehousing and procurement. You can also utilise advanced modules to extend the standard functionality for certain requirements. Additionally, you can integrate NetSuite with other Oracle products such as CRM, order management and ecommerce. A flexible pricing scheme and customisation to the solution means businesses can get the exact functionality they need at a good price. Sage 200 is a cost-effective, cloud-based ERP solution designed for medium to large size businesses in the UK. The solution provides comprehensive functionality for financials, operations, inventory, manufacturing, sales, marketing and more. There are two versions of Sage 200, Standard and Professional, with the latter coming with advanced customisable features. You can buy licenses for both of these versions either perpetually or on subscription. You can integrate the solution with additional Sage products such as CRM and Payroll, giving you enhanced functionality. On top of this, integration with Microsoft Office 365 allows you to work with your business data directly in Outlook and Excel. As a cloud-based solution, you have the advantage of accessing the platform from any internet connected device, anywhere in the world. Odoo is an open-source ERP platform which is made up of a suite of different modules which you can pick and choose from to get the functionality your business requires. The platform comprises of over 30 main modules with thousands of additional apps available thanks to the open-source model which encourages development & customisation. Not only does Odoo have good ERP capabilities, but it also has apps for many different facets of your business, including website development & ecommerce, marketing and human resources. The platform is available to be hosted on-premises, in the cloud or through Odoo’s ‘Dedicated Cloud’. Licenses can be paid for annually or monthly and the cost depends simply on what modules you’re using and how many. Dynamics 365 Business Central is Microsoft’s latest ERP solution. Serving as the successor to NAV, the rebranded solution fits closely alongside the other Dynamics 365 modules. Microsoft has made significant investments into Business Central to make it a comprehensive solution, managing finances, operations, sales, customer service and more from one platform, with customisations available to suit whatever industry you’re in. You can deploy Business Central either as a SaaS solution, in the cloud or on-premises—with the option to pay for licenses either perpetually or on subscription. Integration to other Microsoft solutions including Office 365, SharePoint, the Power Platform and more makes Business Central an ideal fit for those already within the Microsoft product ecosystem. We hope this blog post gave some insight into some of the best ERP solutions that are available right now. If Microsoft Dynamics 365 Business Central sounds like the ideal fit for your business, please get in touch for a no-obligation chat about your business requirements.